Incredibly smooth and rich taste not usually found within Paleo, this almond butter bar is the closest thing to ecstasy we can bake! Creamy buttery nutty goodness, this lil' fella melts in your mouth from straight out of the fridge or freezer. 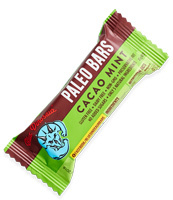 A cross between paleo granola and a sweet snack bar, this is like paleo candy. Enjoy!